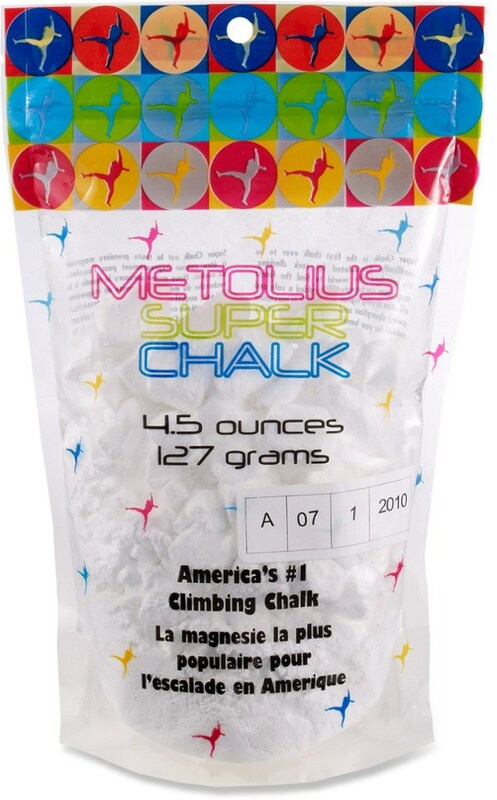 Metolius Super Chalk - 9 oz. 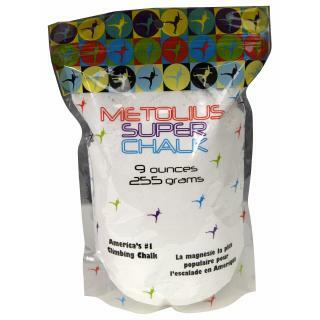 Visit Metolius's Super Chalk - 9 oz. page. The #1 selling brand of climbing chalk in America! The original chalk specifically formulated for rock climbing A safe drying agent is added to the highest-quality magnesium carbonate for maximum sweat absorption and friction 2.5 oz (70 g), 4.5 oz. (127 g), 9 oz. (255 g),and 15 oz. 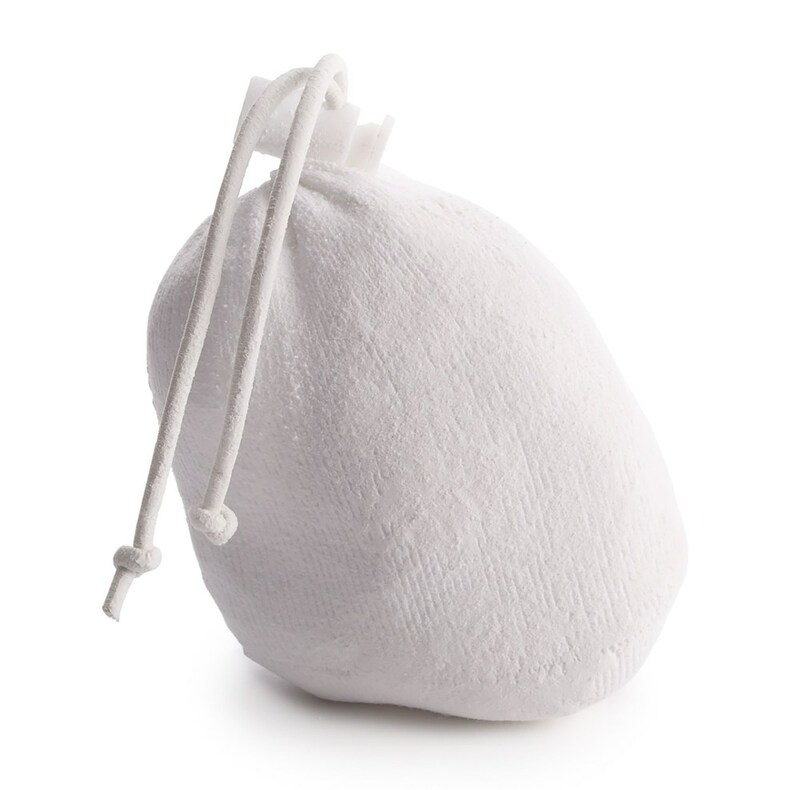 (425 g) are packaged in re-sealable, zippered plastic bags. 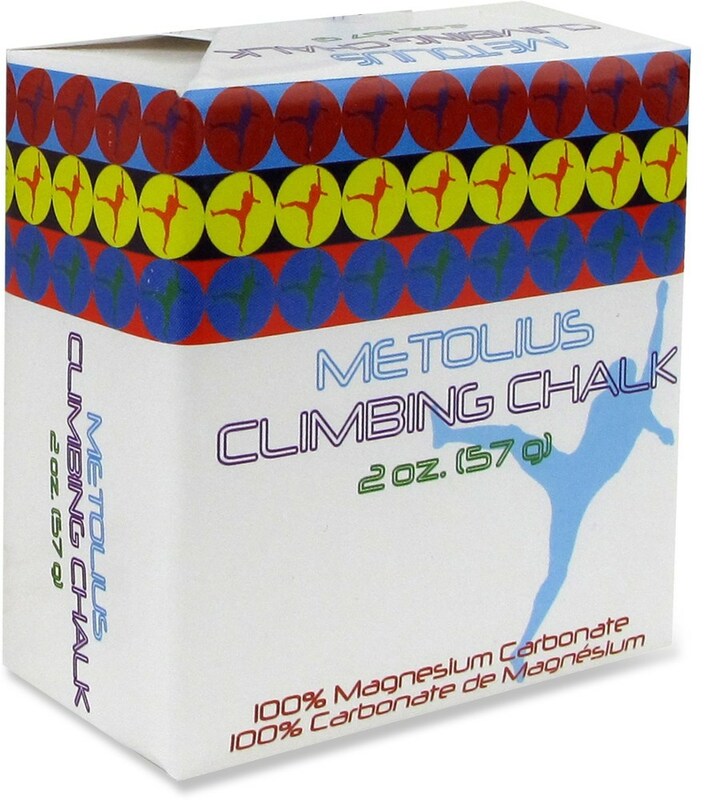 Metolius Super Chalk is the #1 selling brand of climbing chalk in America! The original chalk that is specifically formulated for rock climbing. 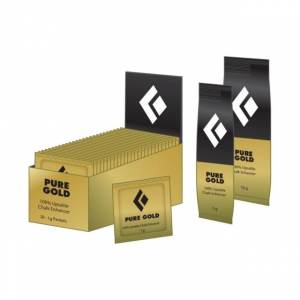 A safe drying agent is added to the highest-quality magnesium carbonate for maximum sweat absorption and friction. 9 oz. is packaged in a re-sealable, zippered plastic bag. 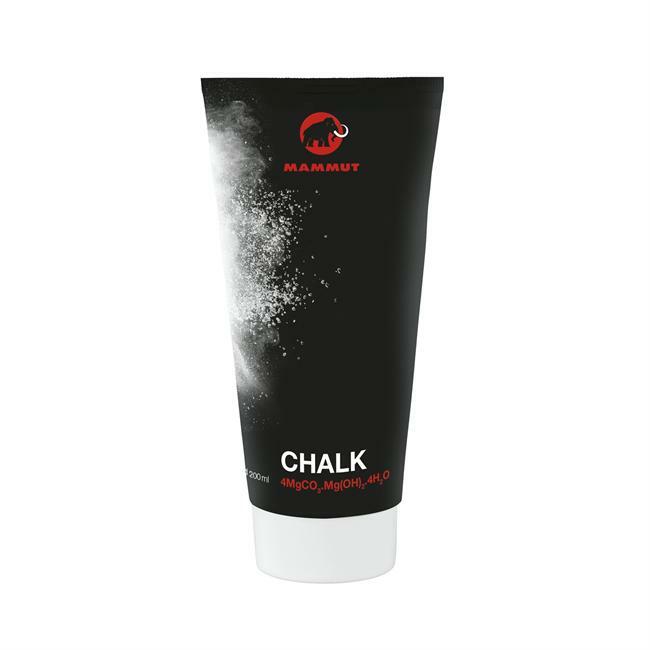 Now 25% more chalk - FREE The original chalk specifically formulated for rock climbing A safe drying agent is added to the highest-quality magnesium carbonate for maximum sweat absorption and friction. Packaged in re-sealable, zippered plastic bags. 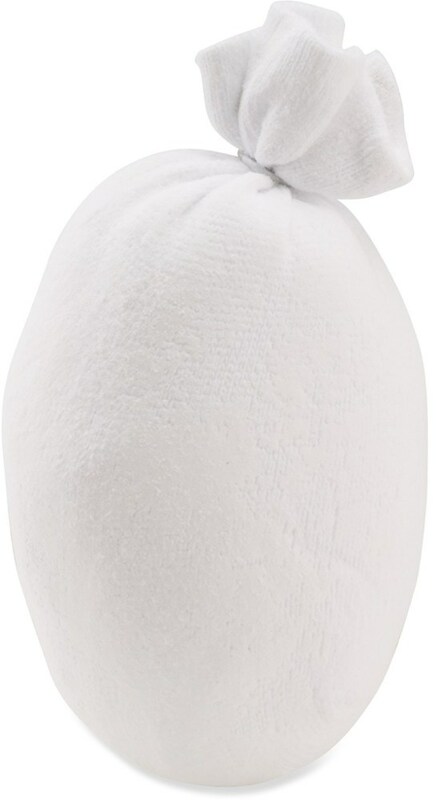 The Metolius Super Chalk - 9 oz. is not available from the stores we monitor. It was last seen October 18, 2016	at Bentgate.com.